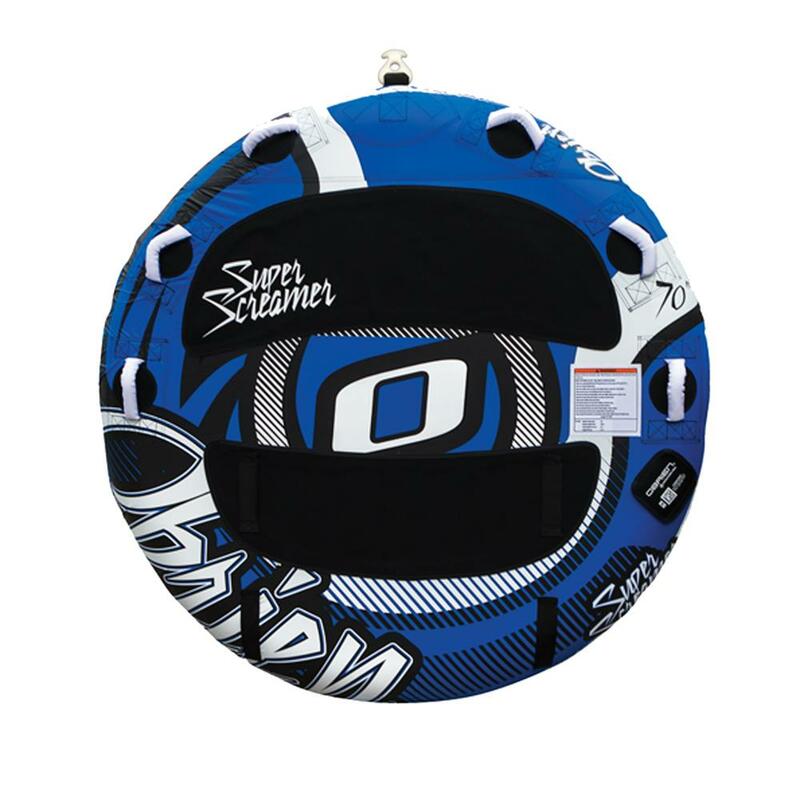 The O’Brien Super Screamer Water Tube provides great movement and bounce for up to two riders. Riders can sit up or lay down; soft EVA padding prevents scratching where the elbows and knees touch the plastic. Durable PVC and Denier nylon provides durability for many seasons of great times. The super screamer is the perfect tube. I’ve had others that I felt were too fast and sketchy. This one is just right. Does not slingshot out at an erratic pace. The size is good. Fits three but not too comfortable which makes “king of the tube” more fun. "What tow rope do you use with this tube?" "The O'Brien Floating Heavy Duty Tube Rope would be a great rope to use with your O'Brien Super Screamer Tube !" "Is there a hole for your feet when you are sitting up? " "No, this tube does not feature an area to put your feet when you are sitting up. " "What is the weight limit?" "This float will hold up to 2 riders or 340 lbs." "I need 2 of them and I need them by Friday can you make it happen"
"Yes, you can get this item by Friday. You can check our shipping information here. " "This tube is 70" for 2 riders!" "what is the weight of the product and a multipurpose rope for wake?" "Thank you for your inquiry. The O'Brien Super Screamer Tube weighs 16 1/2 pounds deflated. Any 2 person tube rope would be ideal. We hope this information helps!"